WrapPak PS - Doug Brown Packaging Products, Inc. The WrapPak PS converter forms two sheets of fanfold kraft paper into a resilient and shock-absorbing 12 inch wide pad to protect products during shipment. 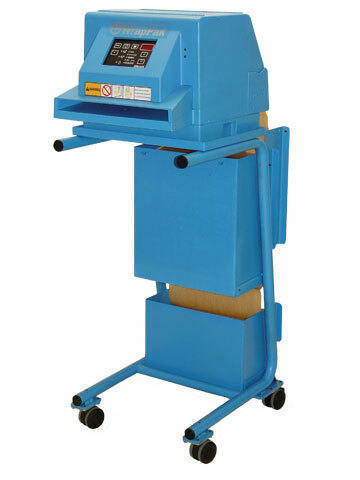 WrapPak PS is ideal for securely wrapping products, lining the bottom or top of a box, and product seperation. The converter can be used in 3 modes; foot pedal, EDS or pre-set mode. 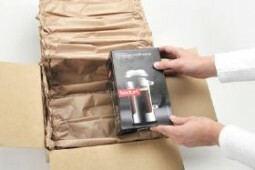 Due to the size of the converter, the WrapPak PS is easy to integrate into every packaging environment. Paper is climate neutral, recyclable and also a renewable source.